Carol Schwartz Osborne is a New Orleans native who works with the psychologists of Jefferson NeuroBehavioral Group and its other companies, Family Behavioral Health Centers, Boost Rehab, and GulfSouth Autism Center. As a Breast Cancer Survivor, she has been active in a number of local and statewide civic and nonprofit organizations; she is currently serving proudly as President of Krewe de Pink. Ann Donahue grew up in New Orleans and makes her home on the Westbank. She is a registered nurse and an advanced practice nurse with a focus on adult health. Currently, she works in the senior living communities. Maria serves as a volunteer for several nonprofit organizations and has done so for many years. As a recent breast cancer conqueror, Maria is dedicated to raising awareness and funds for breast cancer research; with a goal to find a cure! Dorothy has kept the books for a Seattle Corporation for 35 years and lends her expertise to the organization. Her sister is a breast cancer survivor and her best friend lost her battle with the disease a few years ago. She is dedicated and loyal to the fight to find a cure! 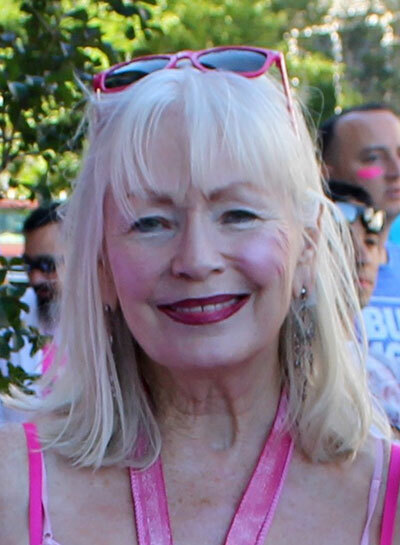 Hillery Moise is a founding member of the unincorporated nonprofit association - New Orleans Friends of the BCRF - and has been with Krewe de Pink since its incorporation in 2015. She has served in the hospitality industry for over 35 years as Restaurateur, Restaurant Consultant, Event Planner and Wedding Coordinator. She has lost family and friends to this dreaded disease and is fully committed in her efforts to help find a cure. Stephanie Cantrell is currently the Associate Publisher with the WHEREtraveler brand that distributes print and digital visitor guides throughout the city of New Orleans. Stephanie has not only been active with Krewe De Pink since its inception but is currently involved with Mid-South Women in Tourism, the Advertising Club of New Orleans, a board member with the French Quarter the Business Association and board member with the New Orleans Concierge Association. Her goal is to IMPACT her community and the people within it. She loves to celebrate others accomplishes and works to ensure that all that those who surround her knows their value. Stephanie and her husband, Chris have two children, Madison and Liam and have lived in New Orleans, Louisiana for nearly 14 years. When she is not trying to make the world a better place, you will find her enjoying the food culture of her city or having a well-deserved glass of wine with her girlfriends. Julie was born and raised in New Orleans with a large close-knit family and is passionate about celebrating the Crescent City’s unique culture. She became involved with Krewe de Pink as the Sales & Marketing Manager for Hard Rock Cafe where she has worked for almost thirty years. Julie enjoys creating and hosting events, building partnerships and business relationships and is active in several hospitality associations including Meeting Professionals International, Mid South Women in Tourism and the French Quarter Business Association. In her personal time, she enjoys “all things New Orleans” and volunteers for several charities including New Orleans Mission, The Sunshine Kids, Louisiana Heroes Project but most of all, she loves seeing her event ideas being brought to life by Krewe de Pink!